Over the past two weeks, I have written about Leadership Culture, and how we define and illustrate it. Specifically, I introduced the importance of identifying your leadership values, and your narrative, or how you talk about your values. In today’s article, I want to close out the three-part theme of Leadership Culture by discussing the importance of the final component of our definition of Leadership Culture: Behaviors. This is where many organizations struggle. Our final major component of culture is behaviors. But please hear this. This component is not just action … it is the behavioral patterns we exhibit when living out our culture’s values. What do you consistently do to support the values and the narrative of the organization? What is the behavior that fits? See we need to clarify our values, we do. 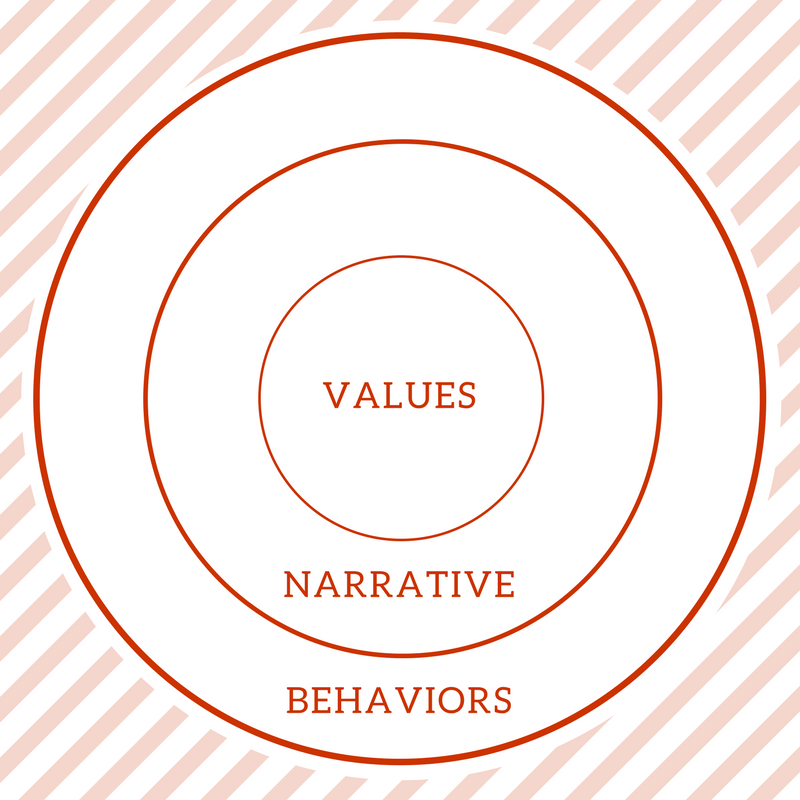 We need to intentionally figure out how to talk about values and how to tell the stories. But what is crucial is that we take action in ways that are congruent with what is most important to us. I was with a church leadership team a few years ago helping them tighten their strategic focus. We were doing an exercise to define their culture a bit. I asked them what their highest values were, and they immediately said evangelism. Reaching people with the gospel was their highest priority. I said, “Great. What are your behavioral patterns which support evangelism as your highest value?” There was silence in the room. They didn’t really have any evangelism behaviors. So one of two things was true. Either they didn’t really value evangelism, and they needed to be honest instead of listing something that they thought SHOULD be a value. OR they needed to change their behaviors to match their values. They ended up creating a few consistent behaviors that aligned with the value of evangelism. Do you want to lead a healthy organization? Start with assessing your culture. Because aligning these three circles is the best way I know of clearly leading any organization, especially a volunteer-led organization. Remember – you want Values you can live up to and aspire to. You want a Narrative, stories, that support your values. And you want Behaviors that align with both. Live into, talk about and demonstrate what is most important to you. Next week, I will share a written tool that you will find very useful. This tool is designed to help you assess your leadership culture and it will help you be able to ask the right questions and help get your leadership team on board with the alignment that is needed. Culture development is key to your leadership, because with an intentional leadership culture, your team will operate with confidence, knowing exactly what to do, and when, to help you keep on track and grow and thrive. Let’s talk and get started now developing your intentional leadership culture. Let me know in the discussion below where you see alignment in your values, narrative and behaviors. Where are the disconnects?